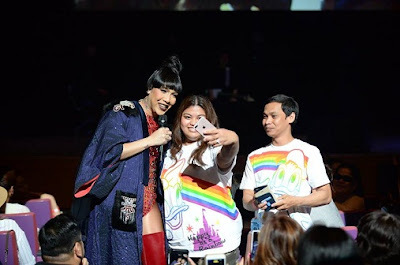 It felt like Valentine’s Day all over again for the Philippines’Unkabogabol Star Vice Ganda as the Filipino community in Japan warmly welcomed him mid-year at the “Pusuan Mo si Vice Ganda sa Japan: Nagmahal. Nasaktan. 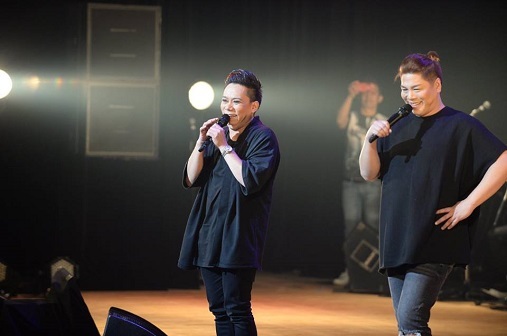 Nag-concert” held last July 2 at the Ichikawa City Cultural Hall, in Chiba Prefecture. Loud cheers from the audience filled the venue as soon as Vice Ganda shared his TV home “It’s Showtime’s” signature greeting “What’s up, madlang people?!”. The cheers got even louder when he appeared onstage to perform his opening song --- a mashup of “In the Name of Love” by international artists Martin Garrix and Bebe Rexha, and Donna Cruz’s hit single “Kapag Tumibok ang Puso”. This is not the first time that Vice Ganda held a show in Japan, but the warm reception from the Filipino community in the country still overwhelmed him. To show his gratitude, he went down the stage and approached them, including those seated almost at the far end of the venue. In return, the blockbuster movie and concert star host made everyone in the venue feel special by giving them a good belly laugh, taking away their worries and feeling of homesickness even for a few hours. Vice Ganda’s interaction with the audience continued when he invited some of them to join him onstage. One of them is a Filipino student, who to the comedian’s delight, told him that he also watched the comedian’s “Vice Gandang Ganda sa Sarili in Tokyo: Eh Di Wow!” show in 2015. Aside from non-stop laughter, Vice Ganda also touched their hearts with the hugot (feels) songs he performed like “Hanggang Kailan Aasa” which is a spin-off of Michael Pangilinan’s single “Hanggang Kailan”, “Sa Isip Ko,” “Shout Out to My Ex” which is an original song by Little Mix, and his finale song “All I Ask” which is an original hit by Adele. Meantime, comedians MC Calaquian and Lassy Marquez who are also Vice Ganda’s good friends served as front act of the show. They hyped up the crowd with their performances of “Awitin Mo at Isasayaw Ko”, and made them laugh with their antics. After the concert, the lucky winners of the “Pusuan Quiz” on TFC Live App got the chance to have a photo opportunity with Vice Ganda, Noven, MC, and Lassy. “Pusuan Mo si Vice Ganda sa Japan” is the second international leg of the Phenomenal Star Vice Ganda’s most recent concert series, the first of which is the highly successful leg in the U.S. last April. Vice Ganda will continue to spread love and laughter to the other parts of the world, as he brings the “Pusuan Mo si Vice Ganda” concert series to South Korea in August, and in Australia in October. For updates about upcoming shows and your favorite Kapamilya stars, visit and likefacebook.com/TFCJapan. Connect with fellow global Kapamilyas and follow @KapamilyaTFC on Twitter and Instagram.